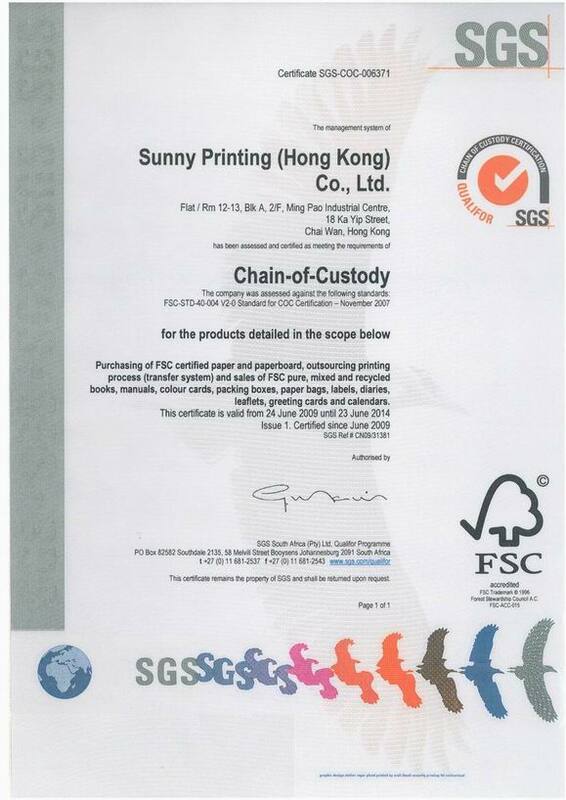 Sunny Printing has been established in Hong Kong since 1991. We offer Total Integrated Solutions for clients that require designing, multimedia, and single to multi-color POD, Offset Printing, Packaging Boxes, CD Replication, Assembly & Kitting, Hubbing, Warehousing and distribution. We aim at achieving Total Customer Satisfaction offering quality services and products. Our philosophy is providing problem free solutions and One-Stop Solutions to our valued customers. To be a Global Partner in Printing and Packaging Solutions offering "One-Stop Solutions"
To consistently deliver the finest quality in Print and Packaging solutions offering: flexibility, competitive pricing, on-time delivery every time and to make our business partner more successful and exceed our reputable clients expectations in order to enhance their business. Using environmentally friendly products, recycle products and encourage all partners to share in our mission statement.